Who’s Looking Out For Animals In This Election? Animal Rights. Where do the parties stand? Human concern for animal welfare stretches back a long way. Despite the regular news of animal abuse, we have come a long way from the prevailing attitude of the Ancient Greeks that animals do not possess reason, to the recent court ruling that temporarily granted chimpanzees legal rights to personhood. Throughout the 20th century, activists have made gains in ensuring that animal health and welfare now finds itself a place in all the major political parties’ manifestos. But what pledges have they made this coming 2015 general election? ‘Labour values tell us that we have a moral duty to treat the animals we share our planet with in a humane and compassionate way’. In continuing the work set about by the previous Labour government, the party has pledged to end the badger cull, defend the 2004 Hunting Act and ban wild animals from being exploited in circuses. David Cameron has said a Conservative government would remain committed to offering a free vote to MP’s to repeal the Hunting Act introduced by Labour in 2004 if they are given another term in government. However, a group of Conservative back-benchers are intending to resist this repeal; the Conservatives Against Fox Hunting have worked stoically since 2011 to make sure that the Hunting Act and other reforms have not been overturned. Moreover, they have doggedly criticised the government’s continuing badger cull. The Liberal Democrats have made a number of pre-manifesto claims to ‘ensure farming support is concentrated on sustainable food productions’. Their commitments extend to improving farm animal welfare and to reducing the use of animals in scientific research by funding research into viable alternatives. Importantly, they differ from the current Environment Secretary Liz Truss, in saying they would only support extending the current cull on badgers if they have shown to be effective, humane and safe. and thus halting the destruction of the estimated 30,000 species we are currently losing each year. The Green Party have made commitments to end factory farming, including a ban on battery hens for eggs, preventing animals from being used for medical experiments, and ending the controversial badger cull. A fuller picture of the Green’s Commitments to animal protection can be found in their 2014 Animal Protection Manifesto. UKIP have said they would scrap Green targets made by both the UK and the EU. On domestic issues, the party recently stated that they would be the first party to call for a complete ban on halal meat. The party maintains that this pledge is not being intended to stir up racial division, but rather to act on the conviction that the ethical treatment of animals comes before religious practice. 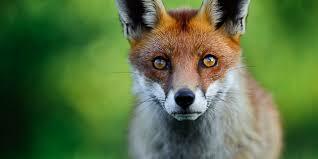 However, UKIP’s animal welfare policy seems to be inconsistent and contains a number of contradictions, including the promise to re-instate fox-hunting. Furthermore, within Europe UKIP has voted against a crack-down on the illegal ivory trade, and, as the New Statesman recently reported, UKIP MEP Roger Helmer has claimed that dumb seal cubs deserved to be killed.